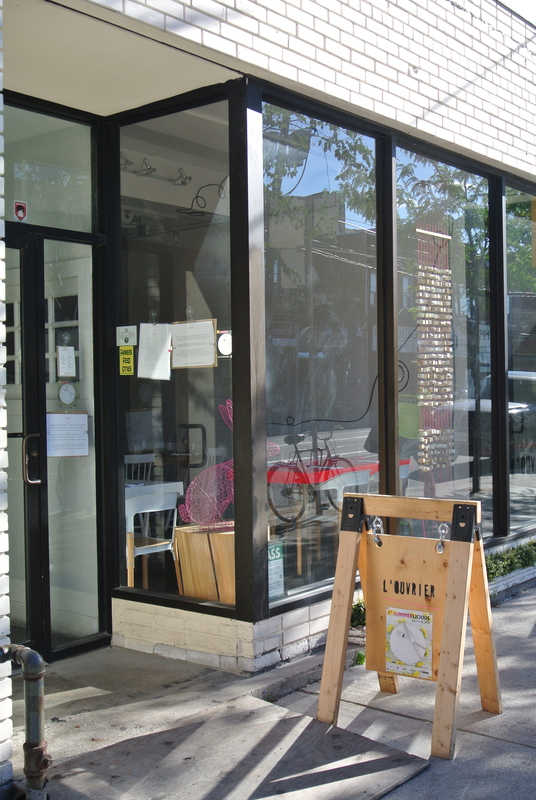 Last week, Summerlicious came to a close in Toronto and this year three teammates and I tried L’Ouvrier, a restaurant located on trendy Dundas Street West neighborhood. The restaurant front is very unassuming with the name only visible on a wooden sawhorse. The interior reminds of those gallery spaces in Soho, New York. Cement floors, white walls and eclectic art displays around the dining room. L’Ouvrier means working man in French and I love how they make simple items important to the blue collar worker into art, like ziplock bags of nails, screws and washers. 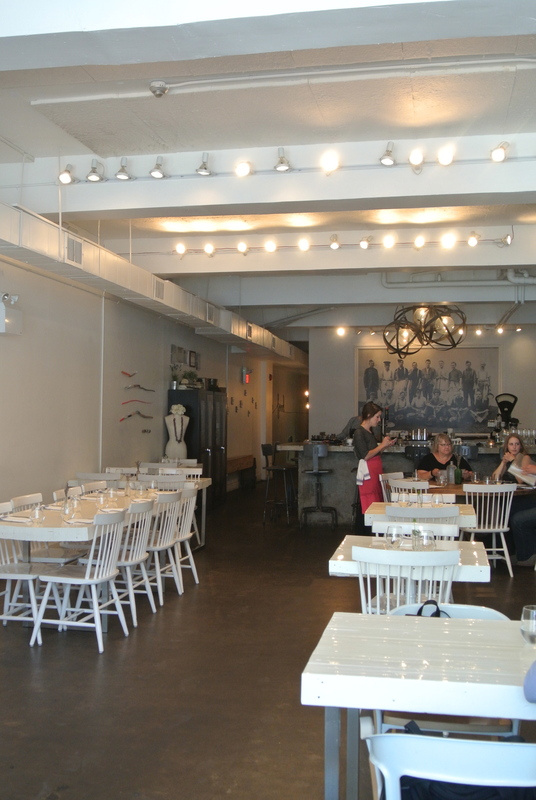 Just like the interior, the summerlicious looked just as good. Starting with an amuse bouche of roasted beet and goat cheese, then a steak tartare made with local beef, homemade potato chips and shavings of Monforte cheese, a local Ontario farm. My main, a deliciously tender pulled pork shoulder with the tang of cider vinegar and the sweetness of apple. 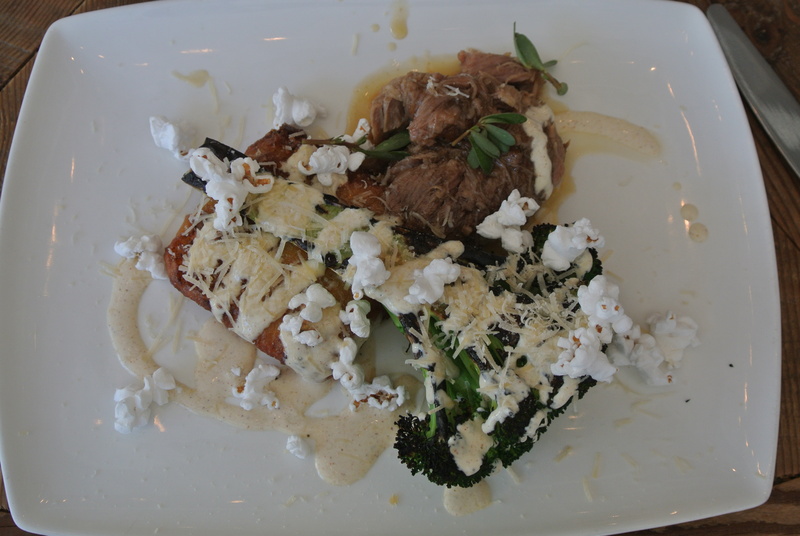 The best part, the broccoli, charred and topped with melted Golden Blyth farm cheese. Also good, the side of fried grits. Grits made into a patty, cut into squares and then deep fried – all topped with popcorn! We ended the meal with a deconstructed baked alaska and stewed strawberries and rhubarb-prosecco sorbet. I would definitely go back again. The discreet entrance to L’Ouvrier. 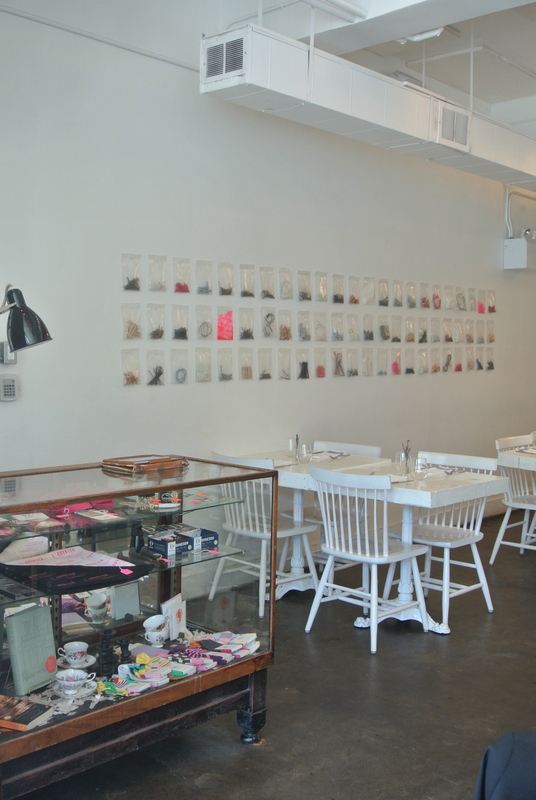 Inside the beautiful space of L’Ouvrier. 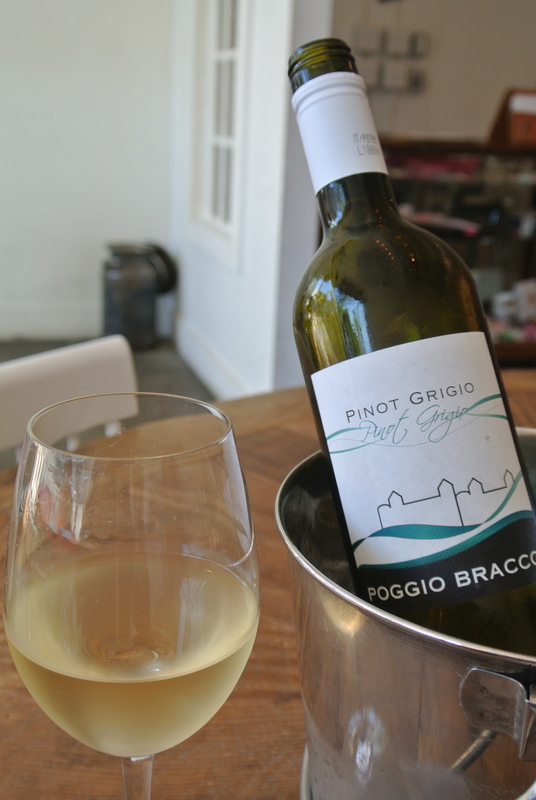 Some pinot grigio to start the night. 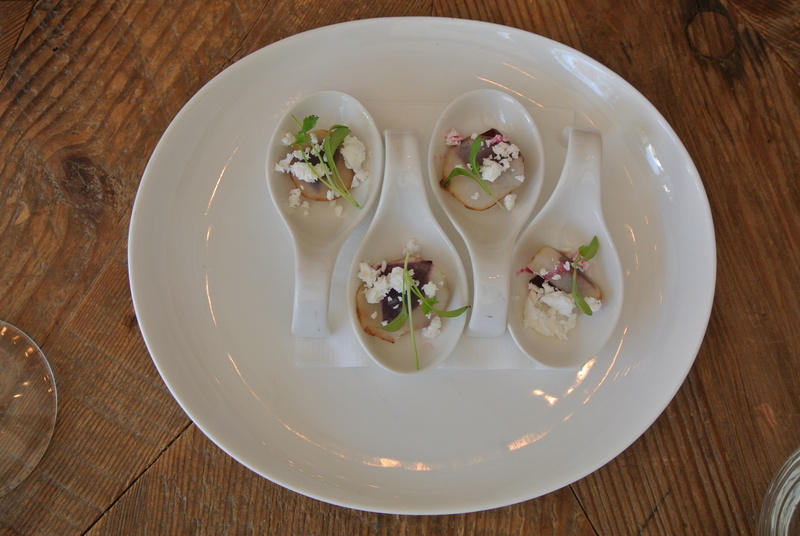 Amuse bouche courtesy of the chef – roasted beet and goat cheese. 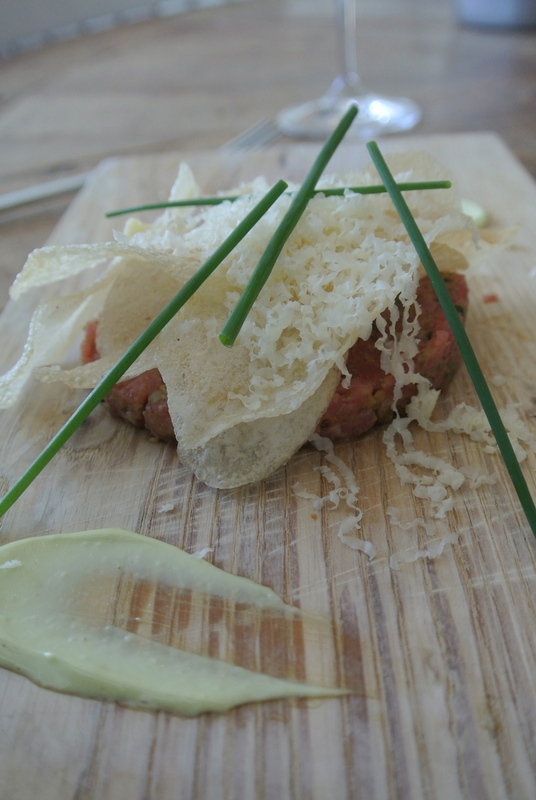 My appetizer – “AAA” Ontario steak tartare, ramp aioli, monforte dairy, potato chips and chives. B.C. 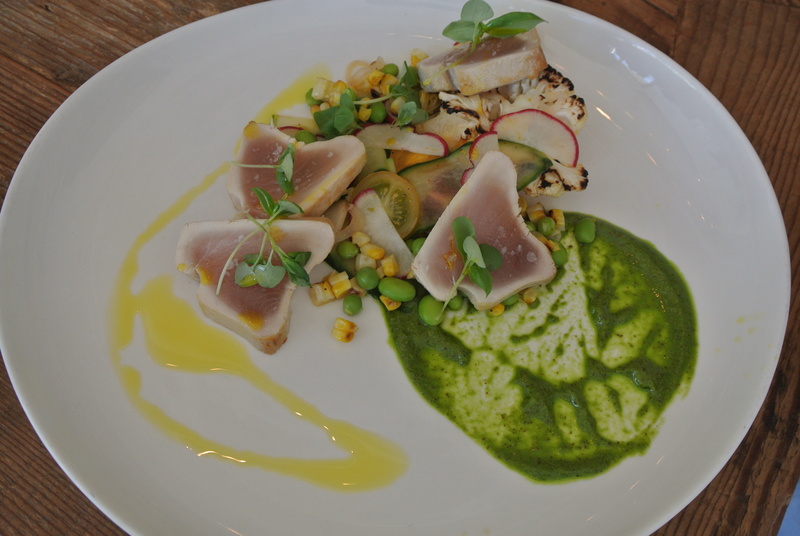 Albacore tuna tataki, salsa verde, local corn and basil. 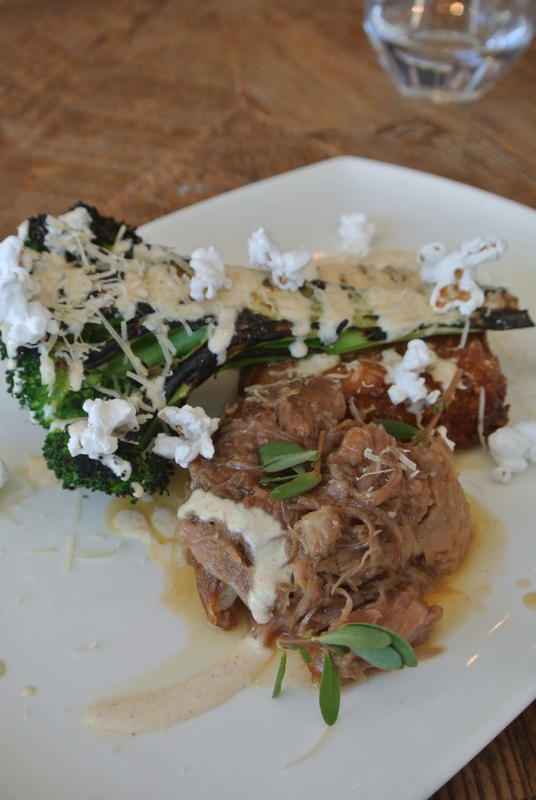 My main – Braised Ontario pork shoulder, cider glaze, fried grits, buttermilk ranch, broccoli and golden blyth cheese. And did I mention the popcorn? 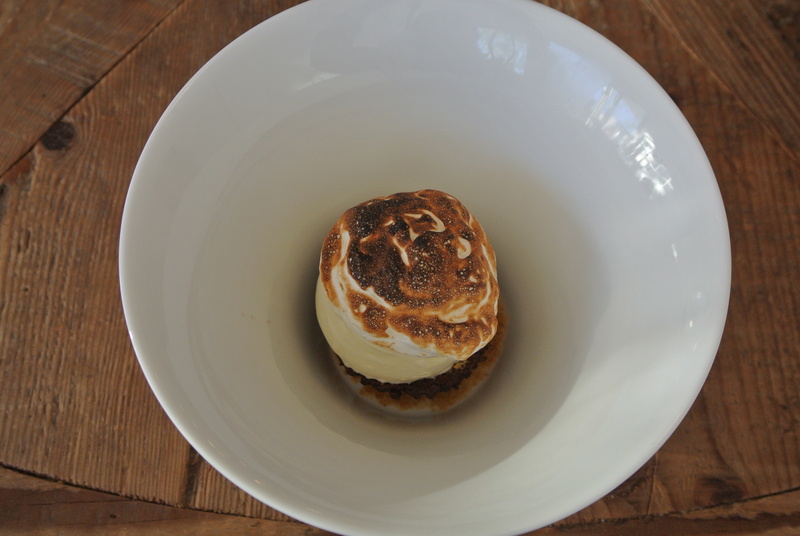 Baked Alaska – flourless chocolate cake, vanilla ice cream, caramel and burnt meringue. 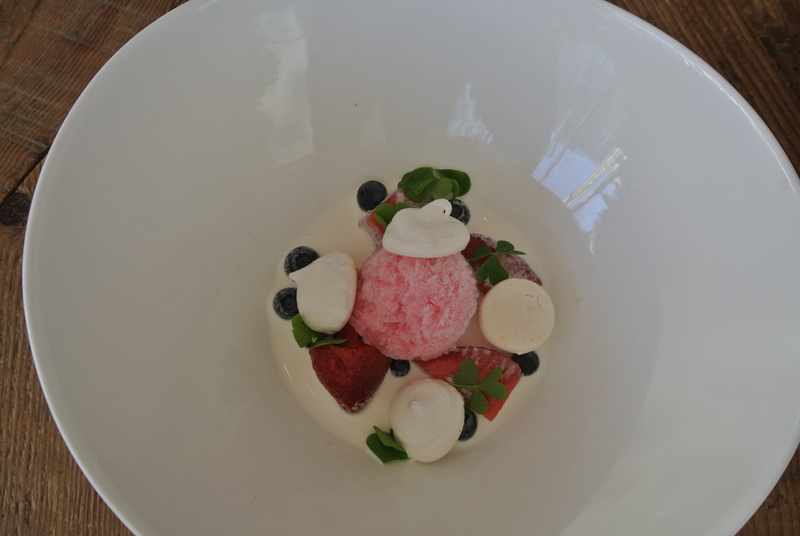 My dessert – Stewed Ontario strawberries, Hewwitt’s dairy cream, crunchy meringue and a scoop of rhubarb prosecco sorbet.